Before this Chicago summer is gone, I need to tell you all about this adorable brunch experience I had with some of my very favorite fellow Chicago bloggers. Lauren of the Blog Lake Shore Lady invited Emily, Blair, Maya, Soraya, Jess and I to Bull and Bear for a build your own Mimosa party. Naturally none of us could turn her down! 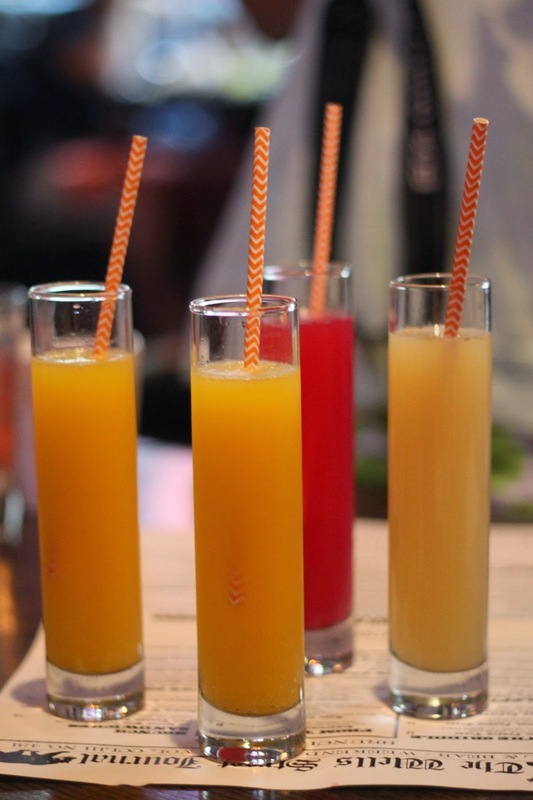 Each tray came out including an assortment of juices that were as flavorful as they were colorful, fun straws and of course a chilled bottle of bubbly! Anyone who knows me knows that breakfast food is my absolute favorite so I had no problem enjoying some scrambled eggs while sipping on one of these pretty mimosas! If you are in the downtown area, particularly right by Merchandise Mart, stop by Bull and Bear and try out the build-your-own-mimosa special yourself! 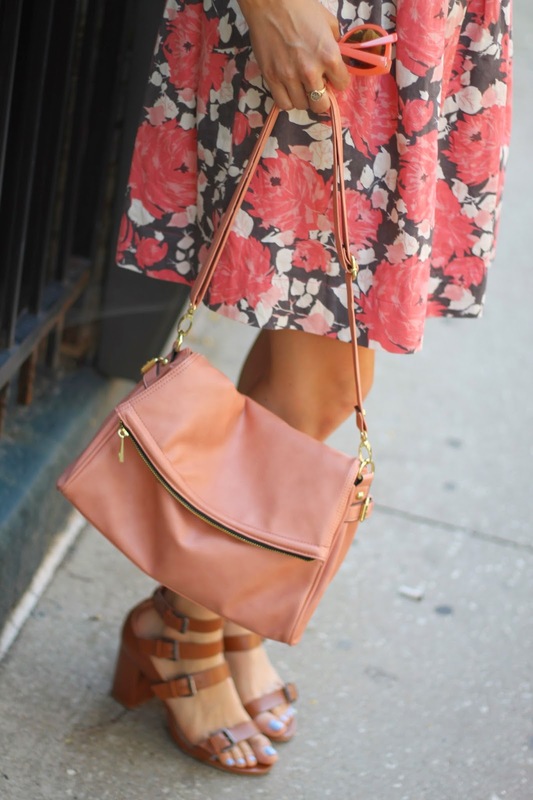 This pink floral just looks so fantastic on you! You look gorg, you are working that dress like crazy and I love those sandals! !